Deejays Craig Novak and Chuck Cannon shot this high quality home movie video. It shows activity on board the 'm.v. Communicator' from late September 1985, until the ship sailed into Harwich Harbour on 6 November. 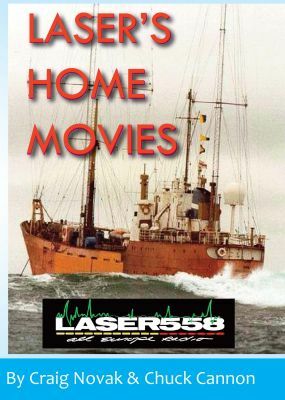 Craig and Chuck present a tour of the ship, see life on board during the last months of broadcasting from Laser 558. Included are the ships crew, and deejays Jeff Davis, John Leeds, Jay Mack, Chuck Cannon and Craig Novak. The video ends with footage showing the sad journey of the 'm.v. Communicator' into harbour, escorted by the 'Gardline Tracker' and the Essex Police boat 'Alert III'.